ABOUT I am an Ussher Assistant Professor in Creative Technologies at the School of Computer Science and Statistics at Trinity College Dublin. 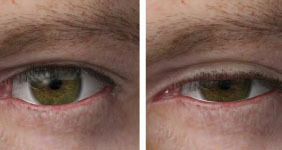 I am also a member of the Graphics, Vision, and Visualisation Group. I received my PhD in 2006 from TCD on the topic of crowd animation and perception. 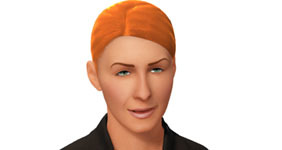 My research interests include computer graphics, character animation, virtual humans, AR/VR, and perceptually-adaptive graphics. 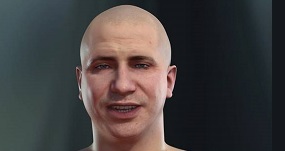 My particular focus is on facial animation and perception. 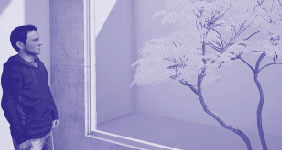 Science Gallery FAKE 2019 We are currently running an experiment in the Science Gallery FAKE exhibition. 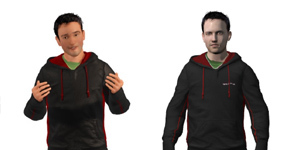 The experiment investigates cooperation with a realistic virtual avatar. Hopper Local Dublin 2019 I gave an invited talk at an event held in Microsoft Dublin focusing on the importance of women holding positions of influence in the tech industry. Keynote at VSI 2018 I gave a keynote on the topic of "The importance of photorealism in virtual human interactions" at the 4th Workshop on Virtual Social Interaction in Goldsmiths, University of London in December. 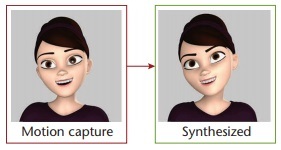 New IEEE Paper 2017 New paper accepted to IEEE CG&A on the topic of using pattern matching to synthesize cartoon facial animations automatically. New Office The GV2 group has moved building. 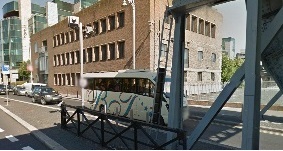 We are now located in Stack B in Custom House Quay. 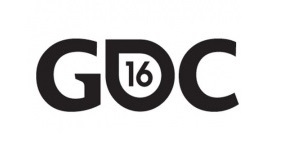 POPULATE demo at GDC Our EU project POPULATE (POPULate AsymmeTric mobile gamEs) was showcased at GDC 2016 in San Francisco. In collaboration with AMA Romania, and Golaem Crowds we have developed a captivating, collaborative, and interactive prototype game involving crowds using both wearable and mobile devices as controllers. Science Gallery SEEING In the Summer 2016, we ran experiment in the Science Gallery SEEING exhibition. 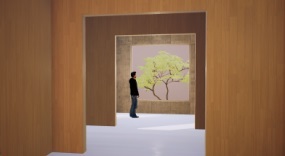 The experiment investigates empathy in virtual reality. 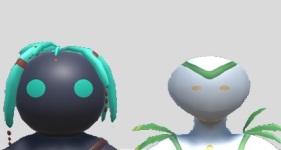 New SIGGRAPH ASIA Paper New paper accepted to SIGGRAPH Asia 2015 on the topic of shape and material stylization on the perception of CG characters. Career Development Award I recently received a Career Development Award (CDA) from Science Foundation Ireland for my project: Game Face: Perceptually Optimised Real-Time Facial Animation, which will begin in April 2015. CGF journal paper 2015 New journal paper accepted to Computer Graphics Forum. Topic is on a review of eye gaze in virtual agents, social robots and HCI. We review behaviour generation, user interaction, and perception. 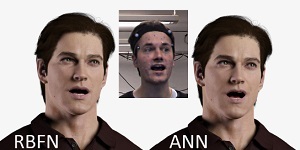 Paper accepted to MIG 2014 Mapping the motion of an actor's face to a virtual model is a difficult but important problem. In this paper, we created a system capable of determining this mapping through supervised learning of a small training dataset. 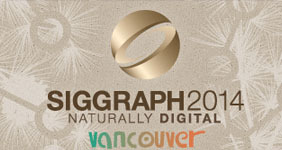 Siggraph Technical Papers Committee 2014 I am delighted to be serving on the Siggraph Technical Papers Committee for the first time this year! STAR report 2014 This report was a collaboration between TCD, University of Wisconsin, Northeastern University, University of Pennsylvania, KTH Royal Institute of Technology and the University of Grenoble and INRIA. 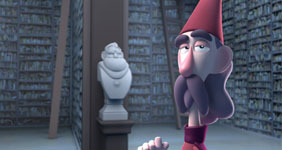 World Premiere of 'The Duel' Set in the 'Unseen University' of Sir Terry Pratchett's 'Discworld', 'The Duel' is a new animated short film produced by the Animation Hub, a collaboration between the Irish School of Animation at BCFE, TCD and Giant Animation Studios. 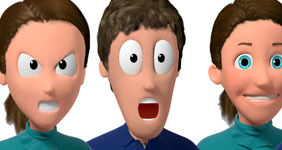 Paper accepted to SAP 2014 Our study explores the interaction between personality and appeal by examining if the perception of personality can be altered with an 'uncanny' or unappealing appearance..
Paper accepted to MIG 2013 In this paper, we attempt to quantify where emotional information is most present, when a character is expressing emotion through speech. This paper was a collaboration between TCD and Utrecht University. 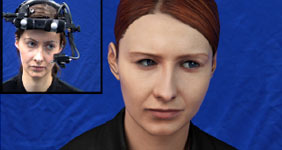 Paper accepted to SAP 2013 In this paper, we investigate the ability of humans to determine the gender of conversing characters, based on facial and body cues for emotion. We used a corpus of simultaneously captured facial and body motions from four male and four female actors. 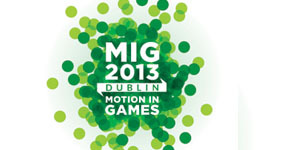 Motion in Games 2013 We are hosting MIG 2013 in Trinity College Dublin in November this year. The goal of the Motion in Games conference is to bring together researchers to present their most recent results, to initiate collaborations, and to contribute to the establishment of the research area. This is the 6th year of the conference and it is sponsored by ACM SIGGRAPH, Disney Research, Intel, and Failte Ireland. 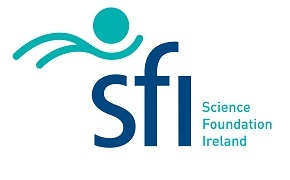 New Research Project Funded I recently received funding from Science Foundation Ireland for a new project on Cartoon Motion. 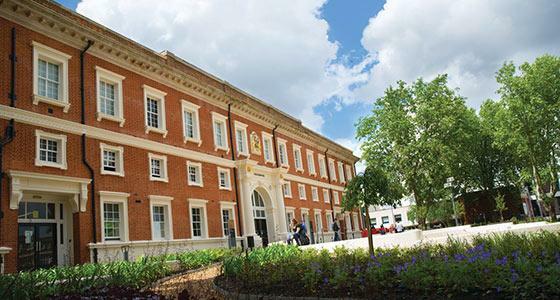 The project will employ two PhD students and will be run in collaboration with Brown Bag Films and the University of Zaragoza, Spain.